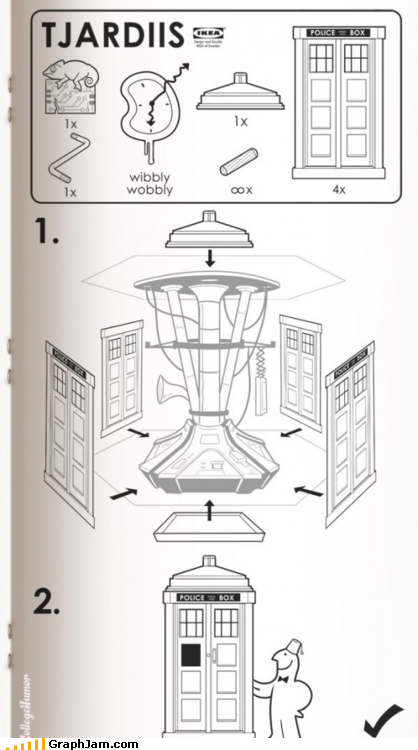 “All of time and space, everywhere and anywhere.” Now at IKEA: | I'll be glorious. From All Things Funny Doctor Who. I thought it was funny, ok?